Nearly five years since the United States government seized its .com Internet domain on April 15, 2011, during online poker’s Black Friday, the world’s largest digital card room is scheduled to return to the market on Monday, March 21. Of course, it’s not a full-fledged return in that PokerStars will only be available to legal residents of New Jersey and those located within state borders, but regardless it’s a monumental restoration of a brand that was once labeled a “bad actor” for continuing to operate in the US after the 2006 passage of the Unlawful Internet Gambling Enforcement Act (UIGEA). 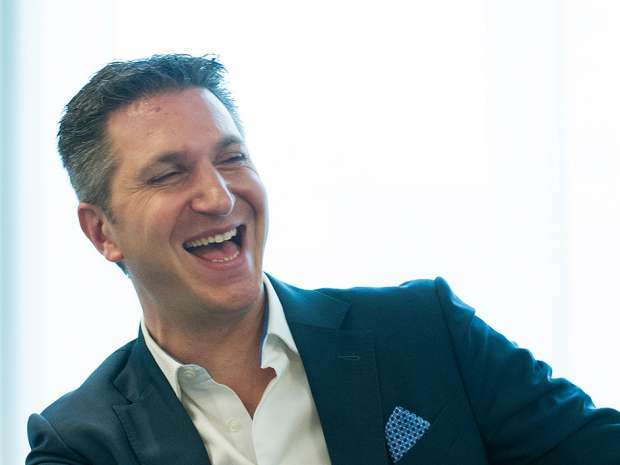 Canadian-based gaming conglomerate Amaya purchased PokerStars along with Full Tilt for $4.9 billion in June of 2014. “PokerStars is the global leader in online poker and trusted by its customers for its robust and innovative technology, world-class security and game-integrity. We are honored and excited to now bring these experiences to New Jersey,” Amaya CEO David Baazov said in a statement. New Jersey law requires online operators to partner with land-based gambling facilities in Atlantic City. The Morris Bailey-owned Resorts Casino will serve as partner to PokerStars. The licensing process on the part of New Jersey’s Division of Gaming Enforcement (DGE) was about as thorough as one could have possibly imagined. On October 3, 2014, Amaya petitioned the division to authorize its subsidiaries for online gaming in the Garden State. The DGE application review took the agency around the world to conduct 71 sworn interviews including 63 from former PokerStars and Full Tilt employees. 371 days after Amaya applied, the DGE granted the company a Transactional Waiver with Conditions on October 9, 2015, effectively approving PokerStars to return to the US market. Following months of hype, we’re now less than a month out from finally seeing what impact PokerStars will have on New Jersey online poker. It’s really anyone’s guess at this point, but the realization is on the horizon. After an interim test featuring a limited player base in mid-March, PokerStars will rollout to the entire iGambling population on March 21. That means come May, the first statistical data on PokerStars’ impact will be discovered. Though PokerStars has a dominating control on iPoker globally, the network occupying 17,000 players on its latest seven-day average for its .com address alone, the company will need to reintroduce itself to players in New Jersey. Those most familiar with PokerStars are persons who competed on the platform when it wasn’t necessarily legal to do so, and it isn’t clear if those same customers will return to a site that is now regulated. The fact that PokerStars hasn’t dealt a hand in the US in five years is also reason for concern for Amaya, as players in New Jersey who only began participating when the market became legal in 2013 are less likely to be familiar with the brand. Online gambling revenues are flourishing in New Jersey, but since inception iPoker has underperformed. Amaya, the DGE, and players themselves are hoping PokerStars can help change that course.